The Library of Congress is exhibiting rare color photos from the Depression and Second World War periods. 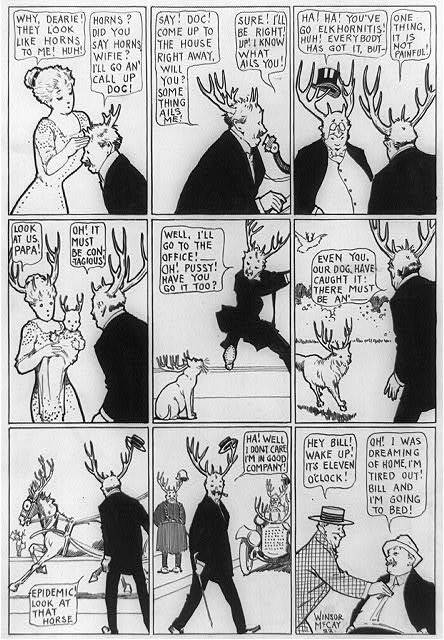 Sixteen-hundred of the color images may be seen online at American Memory. 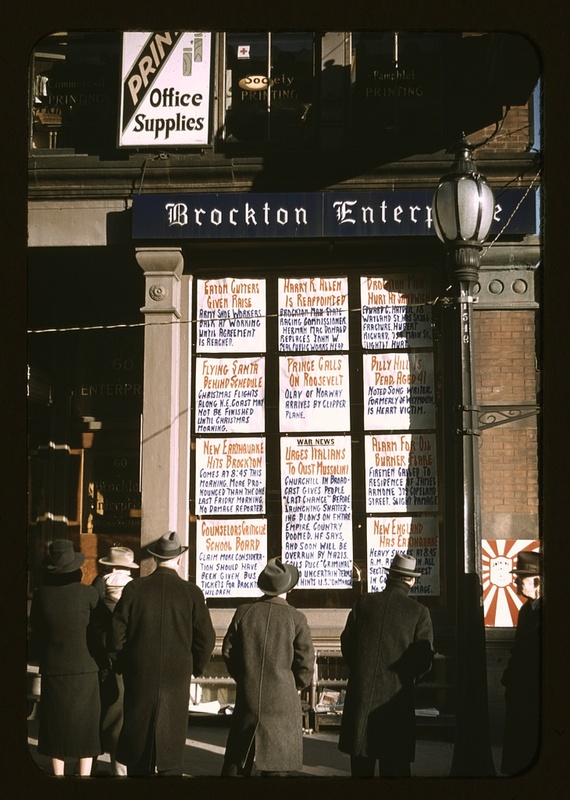 The picture above shows passersby reading headlines posted in the street-corner window of the newspaper office in Brockton, Mass., in December 1940. A gallery of vintage New York Post front pages from the '40s, '50s and '60s is found at a tribute site to late newspaper editor Paul Sann, postwar New York's "king of tabloid journalism." Of Sann's Page One headlines a reporter said: "Some of them [were] so exciting I had to wait for the story to catch up."